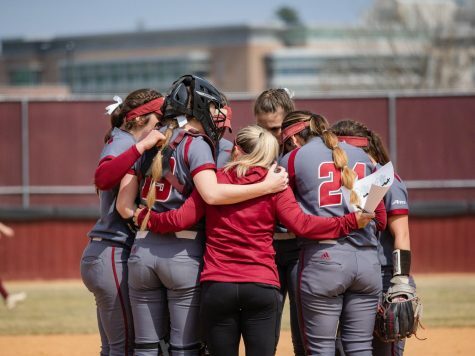 If there’s anything Massachusetts softball coach Elaine Sortino can complain about regarding her ace Sara Plourde’s performance against Boston College, it’s the double at the bottom of the sixth inning that ruined her no-hitter. 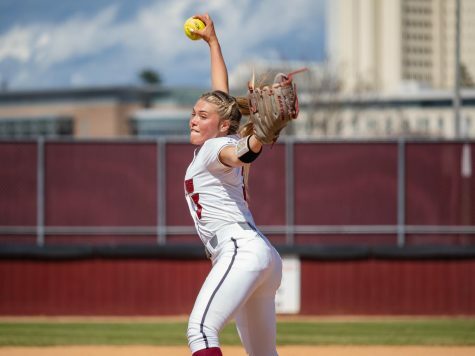 But by any other barometer, Plourde still proved herself to be an elite pitcher, even if her performance didn’t impress Sortino or the sophomore who got the one-hitter in the first place. “It’s funny because we both graded her pitching as a B-minus today,” Sortino said. Plourde finished the game with 20 strikeouts and one walk in seven innings as the Minutewomen downed the Eagles, 6-0. She raised her strikeout total to 322, the fifth most in school history in a single season, and is 23 away from passing Brandice Balschmiter’s single-season record of 344. 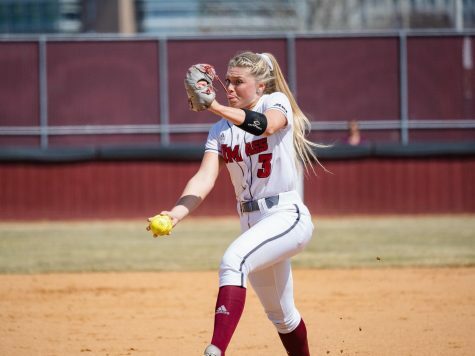 Her 20 strikeouts broke the UMass record for strikeouts in a seven-inning game that Plourde shared with former pitcher Danielle Henderson (18), who did it three times. 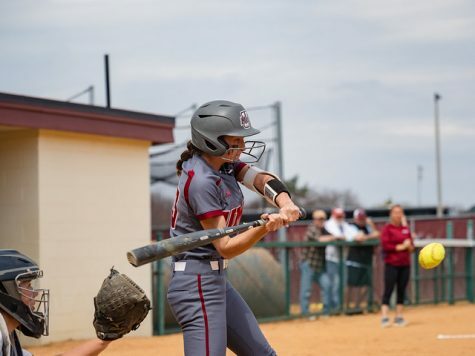 UMass (22-7, 6-0 Atlantic 10) finished the game with three home runs by right fielder Katie Bettencourt, left fielder Michelle Libby and shortstop Whitney Williams. It also finished the game 13-for-31 as a team at the plate. 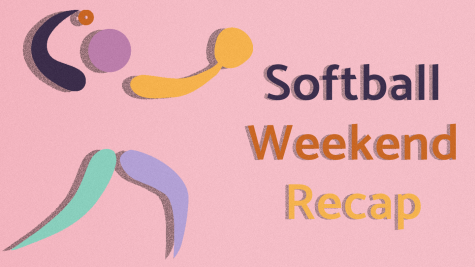 From the beginning, Sortino and Co., set the pace with its offense while Plourde kept the Eagles (9-18, 0-6 Atlantic Coast Conference) from being effective at the plate. Outfielder Carly Normandin had a leadoff walk in the first inning and then advanced to second base on a bunt-single from Williams. 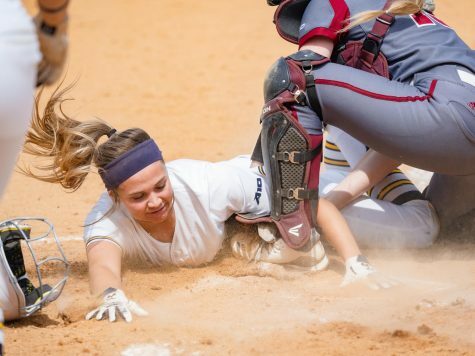 The next play, both runners advanced on a hit-and-run play by second baseman Kylie Magill, who grounded out to third base. With runners on second and third, right fielder Katie Bettencourt put the Minutewomen up 3-0 with her fourth home run of the season. “I thought that [Williams] had a great bunt for a hit in the first inning that opened up the door for Bettencourt’s home run,” Sortino said. Behind Plourde’s pitching, the Maroon and White didn’t really need any more insurance runs, but it got them anyway. 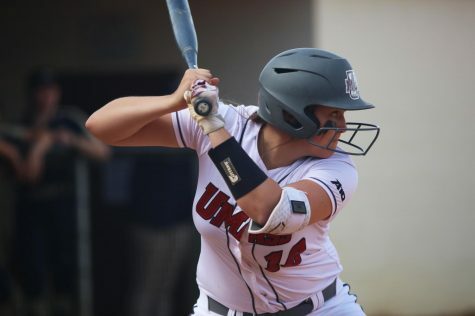 UMass struck again in the top of the fourth inning when Libby homered to left field, but a double by Williams was the only other player to reach base that inning. During Libby’s next at-bat as the leadoff hitter in the top of the sixth inning, she singled up the middle. After senior Normandin flied out, Williams hit her first home run of the season to left-center field, and brought in Libby. 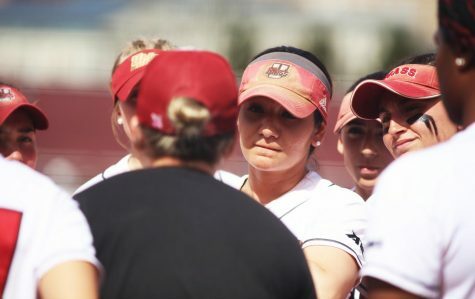 BC’s first hit didn’t come until the last out of the seventh inning when Renee Ramos doubled down the left field line. But other than spoiling Plourde’s no-hitter, her hit didn’t do any damage to the Minutewomen. She struck out the last batter anyway. Plourde’s only other blemish on the day came when she walked Alison Kooistra in the fifth inning. UMass returns to Amherst for its home opener against Boston University today. 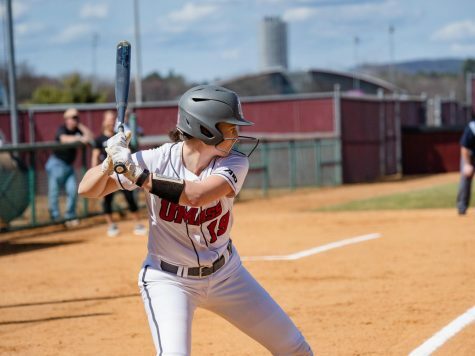 The Minutewomen were supposed to start the season with a double-header against Dartmouth on March 30, but the games were rained out. BU features America East All-Conference First team selection April Setterlund, who ranks first in the nation with a .595 batting average. The Terriers (18-10, 3-0 America East) are on an eight-game winning streak and have shut-out Stony Brook two out of three games during the series sweep. The last time BU went on the road, it came out with a strong offensive performance defeating Harvard, 14-8.